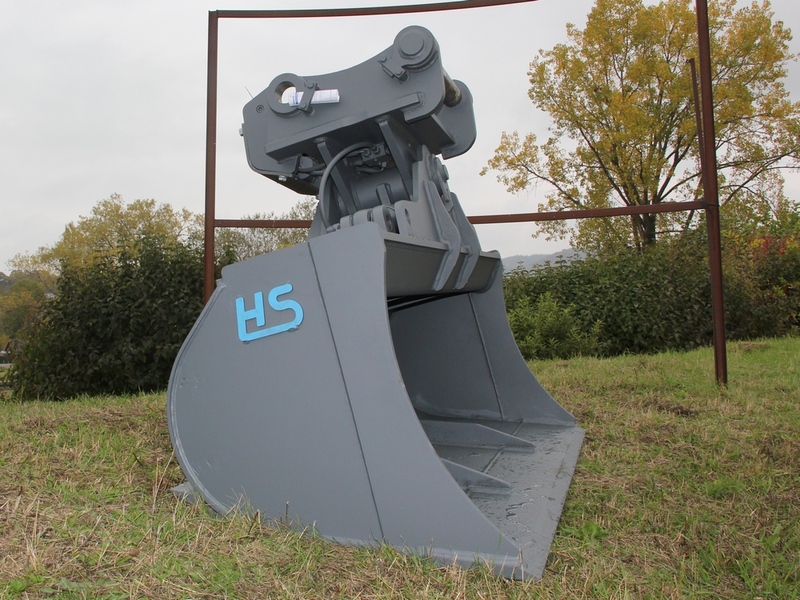 Tilting buckets for all earthworks and civil engineering projects. It is a universal tool. Cutting widths from 1,600 mm, holding capacity up to 2.8 cubic meters SAE. Base made of HB 400 steel. Buckets for all medium and heavy applications. Cutting widths from 1,200 mm, holding capacity up to 2.0 cubic meters SAE. 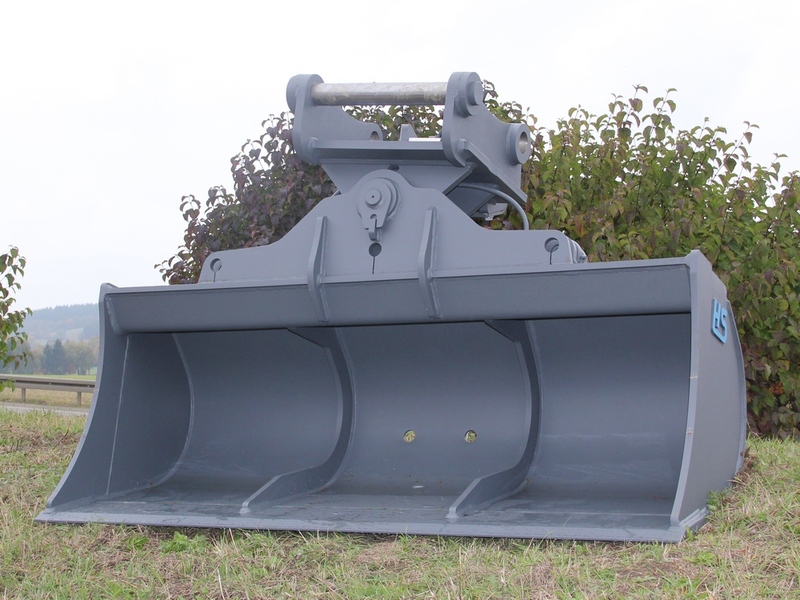 Bucket shape with a scooping back side with the base made of HB 500 steel or optionally HB 400 steel. Reversible bottom butting side or bottom teeth optional.